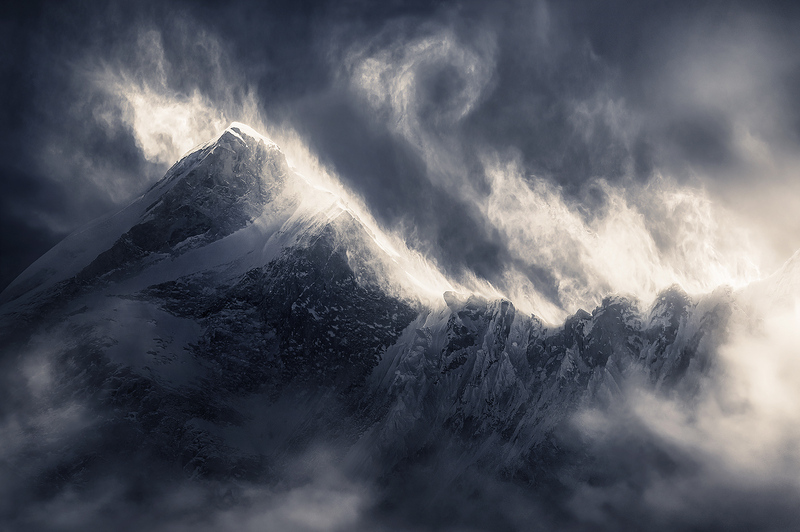 High peaks below the summit of Makalu captured during a fierce wind and blowing snow. There is no image that captures these dramatic summits to thier fullest, but for me, this comes close. It is one of my favorite images I have ever made. Photo © copyright by Marc Adamus.